Dogged perseverance and unyielding determination are qualities shared by countless bands struggling to break out from their hometown club scene and onto the arena stage. Memphis, Tennessee quintet Savage After Midnight have exhibited far more patience and dedication than most. They are gearing up for the release of their debut EP, “11:59” (RED Music/The Century Family) on March 8th, 2019. 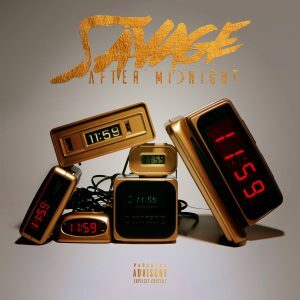 Savage After Midnight has toured with Shinedown, Sick Puppies, and Story of the Year, among others. 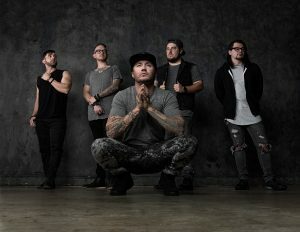 More tour dates are being confirmed, and the band also has additional songs recorded for another EP to be released in late 2019 or early 2020. – Of course! Thanks for having us, we actually are in rehearsals starting today. We are gearing up for our next tour that starts at the end of the month. Now that a new year has started, what musical goals does S.A.M. band have for 2019? What are you most proud of about 2018? Do any of you make any New Years Resolutions? – Our goals are probably the same every year, continue to write music that we enjoy and can be proud of. Year over year we have been growing into a more effective and mature writing style, so we really just want to continue that progress. In 2018 we were proud that our first single that we ever released – “10 Feet Tall” has received as much traction and love as it has! We’re thrilled that it’s gotten such a positive response right out of the gate. How do you think your hometown of Memphis has influenced the sound and how you all carry yourselves in this group? – The sense of hustle in Memphis is absolutely unmatched, and our work ethic is really strong – it’s made us who we are. In terms of our writing – when we dig in, we dig in hard and we don’t settle for the first idea that comes up. We keep working on it until we all believe we have something special. – Simply put, it’s made us the band that we are today. Some of us lean more traditional as active rock music fans, others love pop-punk & metal. The different shades of rock definitely show up throughout the record. It gives us a more diverse sound, when the different elements all come together. – We’ve grown as writers and performers – life experience has certainly contributed to the growth of the band. Our music and the writing style have grown exponentially, from our various experiences over the years. We used to write in the rehearsal room, jamming at full volume until something cool manifested. Now we write in the studio, and take a bit more deliberate approach. A lot of things have remained the same though, we still throw the F*** down when we play a live show. I don’t think that will ever change. Let’s talk about your forthcoming debut EP, “11:59.” Did anything surprise you about the overall process of putting this collection together? – The length of time we spent in production, for sure. We went through a number of producers, engineers, and writers before we had the final version of “11:59”. I think what surprised us the most was truly how long the process took us to finally get something out there…. We’ve known for years what we had, and we knew that “10 Feet Tall” in particular was special. The politics of this business can sometimes put a strangle hold on creative energy. We persevered through a bunch of trials and tribulations because we believed in how important it was to get these songs out to the rock community. Our collective belief kept us going. How will you celebrate the release of it on March 8th? Can you recall what it was like hearing it all for the first time? How do you think your already released single “10 Feet Tall” prepares listeners for the rest of the songs on your EP? – One of the reasons we picked “10 Feet Tall” as the first single is because we do believe it embodies the spirit of the EP. We have a dynamic EP with different flavors of rock, but overall “10 Feet Tall” is a great introduction to “11:59”. – Usually Jeremiah (Lipscomb) and I (JT) start out by sitting in a room hashing out riffs and vocal melodies, and later on in the session we start sifting through basic lyrical concepts. After we have the skeleton in place usually Landon (Fox) will come in and write rough drums, and pre-production begins from there. Where do you think you are all happiest – in the studio recording new music, on stage performing or elsewhere? – They both have their special qualities about them, I think you might get different answers based on who in the band you ask. But what I can tell you is we all enjoy both very, very much! Some bands may tend to not like being in the studio, or the writing and production process in general, but do. All of us love the studio and feel absolutely at home there. And we LOVE to play live and share our music in that setting, nothing beats the energy we get back from a live audience. 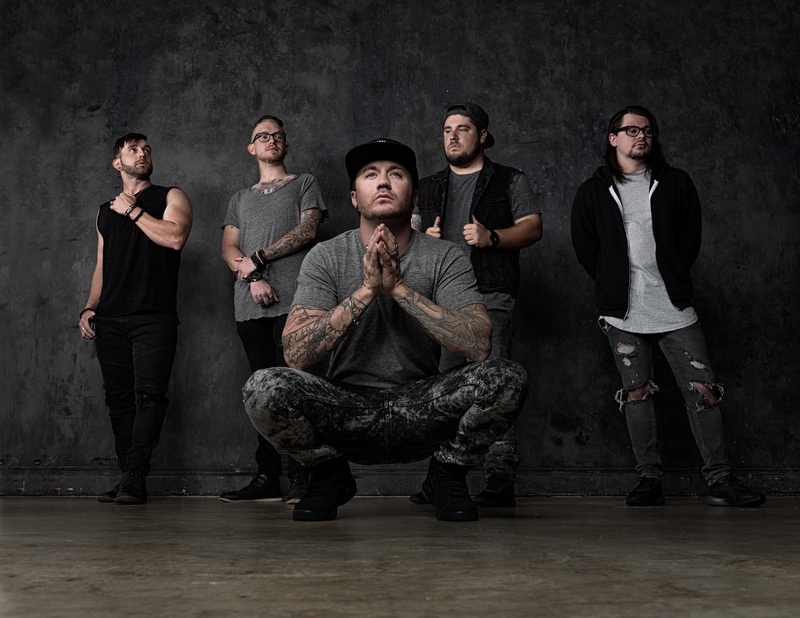 – We head back out on tour with Memphis May Fire, and He is Legend on the 28th, and we’ll be out with them for a bunch of dates that we are really looking forward to. An ideal show is just putting on a great performance for people that want to see it. We’ve played for crowds of 10,000+ fans and we’ve played for 50, every show is always different and can be just as fun! How was your January tour with Pop Evil? Any favorite venue or crowd? – Every stop on that tour was amazing, and we are super appreciative of the Pop Evil guys for having us out. I will say this… Boston truly knows how to put on a rock show – the fans there were awesome!! – We all run our own band and personal socials. We have a social media team that helps us with certain content and posts, but we all contribute to all platforms, because it’s important for the fans to know it’s coming from us. It’s important for us to be the authentic voice of our band’s social media. I think everyone would agree we really like our Instagram! – I think Music is more the place you go to try and make sense of it all. The things we can put into music and a 4 minute experience give us an advantage over the other arts in terms of narrowing down a specific energy that you want to get across. Music will always be an escape, but more importantly Music to a lot of people is therapeutic, helping them sort through the mess of thoughts and feelings we feel on a daily basis. – We really want to work with a some of the new hip hop artists like Black Bear, MGK, etc. There have been so many artists that have had an influence on us along the way, Rage against the Machine, and A Day to Remember being two that come to mind. – We hope people are able to find their own meaning in our music and lyrics, at the end of the day asking the listener to feel a certain way is presumptuous. We just want people to take away a fun positive vibe, and try to give the same to others. Impacting people in a positive way is what it’s all about. Keep up with us on our socials @savageaftermidnight . You can add all our personal socials as well. Try us out – We WILL message you back. Stay Savage! !